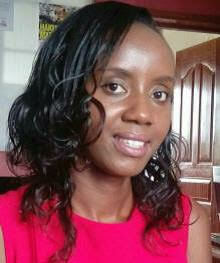 As some of you may know, I sit on the Board of the Young Women Social Entrepreneurs (YWSE) Nairobi network. We host monthly dinners - "How she does it" - where we have women speakers come and talk to us about their professional journeys so far. April's speaker was Rita Laibuta. She is an Electrical Engineer by training and the Energy Consultant for the French Development Agency on the DFID /EU - funded Green-mini Grid (GMG) Kenya program. She is implementing Mini-grids and productive use projects in Kenya therefore providing electricity to more than 13,000 households and businesses and supporting more than 10 privately owned Kenyan energy companies. Rita is a 2016 Mandela Washington Fellow and a 2013/14 Tullow Group Scholarship Scheme beneficiary. She loves promoting the development of renewable energy projects and advocates for entrepreneurship in Renewable Energy including participating in the British Council Entrepreneurial Africa London Showcase in 2016. Rita shared a lot of great insights that she has picked up along the way on her personal and professional journey, and I thought that these were too good not to share! Some may be more specifically applicable to women, but I would encourage everyone to give this a read. Do you relate to any of these? Do you agree or disagree? I'd love to hear about it in the comments! 1. Battling the “impostor syndrome”: Every time I read my bio, I always wonder - who is this, and why is she lying to people? A lot of brilliant, accomplished women, including the COO of Facebook – Sheryl Sandberg, Shonda Rhymes (the founder of the production company Shonda Land and author of Year of Yes), Arese Ugwu (the author of the Smart Money Woman) and many others, talk about this annoying syndrome that plagues more women than men globally. Knowing that this said “syndrome” is not only affecting me but many other women out there has given me the confidence to own my successes. We all have our failures, I have failed many times than I can count, but I have also achieved quite a lot. I am proud of my achievements and excited about how much more I will achieve in future. Re-reading my bio with the knowledge of this “syndrome” that affects many other women has helped me think to myself more and more that, “You know what? That is me. I deserve this. I did this.” I am learning to celebrate my successes and in turn, it helps me to celebrate the success of everyone around me, appreciating the fact that we are all on our different paths, and it does not hurt to pat each others' shoulders when we do good. I’ll tell you that it influenced this: my looking for a Masters scholarship until I got one (and no, I did not get a first class, so trust me, I was not applying while thinking I am the most brilliant Engineer in this country); applying for the Mandela Washington Fellowship (MWF), (I got rejected in 2015 by the way), but I was one of the 1000 Africans meeting Obama in the summer of 2016, in Washington DC! I had decided to apply every year until I got in. I've been accused of living in a bubble. And I'll admit I love my bubble. The thing is, a positive and fluid mindset goes a long way, and it is a choice we have to deliberately make. We can today choose to see ourselves as winners in what we do or as victims of life, constantly wondering “How do they get those things (jobs, recognition, etc.)?" 3. On mentors and relationships – I am the type of person who, if stuck in a rut, will be googling a book on "how to get ahead in your career and relationships", “how to negotiate”, “how to become financially independent”, etc. Sheryl Sandberg’s Lean In spoke to a lot of my work related doubts. Thanks to Shonda Rhymes, I am more comfortable in inserting myself in uncomfortable situations, saying yes to requests that I would normally decline, like making public speeches; Outliers questioned my idea of what brings on success; Arese Ugwu, Robert Kiyosaki on money management, Stephen Covey is why I have a personal vision statement, Robert Greene has pretty scary laws. My observation is that mentors do not only have to be people in our physical spaces. As an introvert, if the only option I had was to request total strangers to mentor me, I would have been depressed for sure. I have also learnt to look for groups with similar interests - you will always find these when you look for them. And finally, I have found that mentors can be anyone around us; there is so much to learn from others. We have heard many times that we are the average of the people we surround ourselves with – I can safely brag that my circle is full of brilliant women and men. Women whom I learn from every day, women who have helped me be the woman I am today. So yes, it’s great to get that one figure that can mentor us in our various spaces, but if they are not easily accessible, look to learn from your surroundings, and books. And of course, what value are you adding to your circles? It is always a give and take. 4. And finally on self-love – I believe that self-love is the beginning of it all. You can call me the self-love ambassador. I strongly believe that if we were all taught to love ourselves from an early age, this world would look very different. You will always know a woman who has learnt to love herself from her talk, her principles: and it's a process. Women: we are beautiful, we have so much to give, but we have to start by giving ourselves. We have to learn to celebrate our success. I have read that science supports the power of positive affirmations. “Affirmations are basically a form of auto-suggestion, and when practiced deliberately and repeatedly, they reinforce chemical pathways in the brain, strengthening neural connections”. I urge every woman to be their biggest fans. With this mindset, we will continue to conquer our worlds.